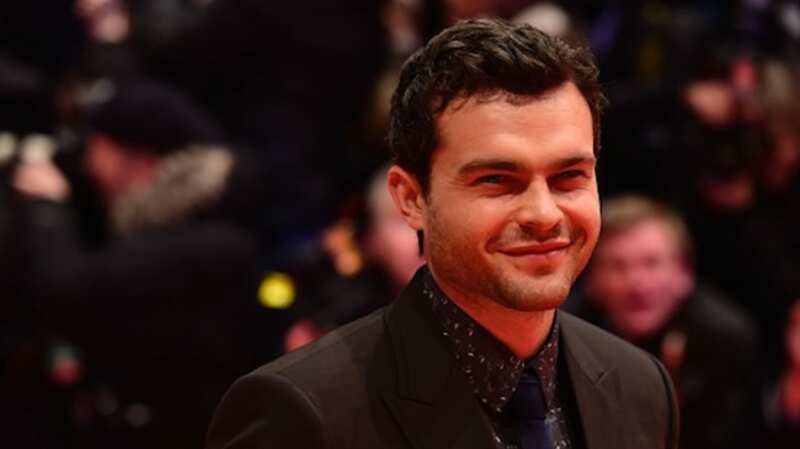 Alden Ehrenreich may not be a household name yet, but give it a minute. The 26-year-old Los Angeles native has been turning heads (and stealing scenes) since making his feature debut in 2009 with Francis Ford Coppola’s Tetro. Now, after months of speculation and rumor-swirling, it's finally been confirmed that the up-and-coming actor is about to embark on the role of a lifetime and put his own spin on one of the most iconic characters in film history. At this weekend's Star Wars Celebration in London, it was officially announced that Ehrenreich (pronounced "eye-ren-rike") has indeed landed the coveted title role in Chris Miller and Phil Lord’s Star Wars spinoff, Han Solo: A Star Wars Story. While we wait to see how well Ehrenreich fills Harrison Ford's knee-high boots, let’s get to know a little more about your new favorite space smuggler, who shoots first and knows you love him. 1. STEVEN SPIELBERG DISCOVERED HIM … AT A BAT MITVAH. In a story that Ehrenreich will no doubt have to repeat many, many times over the course of his career, his road to Hollywood began in a rather unique place: at a Los Angeles bat mitzvah. Ehrenreich—then 14 years old—and his friends made a short movie for the guest of the honor, which was screened at the event, where Steven Spielberg happened to be in attendance. “I got a call afterwards from these giggling girls from school who told me that he had really liked the movie,” he told New York Magazine in 2009. “Pretty soon, the DreamWorks people had gotten me an agent, and by now I’ve gone on hundreds and hundreds and hundreds of auditions.” That meeting also landed him his two earliest gigs, one-off performances on Supernatural and CSI: Crime Scene Investigation. 2. HE LEARNED TO ACT FROM THE MARX BROTHERS. 3. HE CO-FOUNDED A FILM AND THEATER COMPANY. In 2009, while a student at NYU, Ehrenreich and his friend/fellow actor Zoë Worth founded The Collectin, a small film and theater company that (according to its website) “experimented with new techniques for writing and performance” via weekly workshops with writers and directors. 4. HE LANDED HIS FIRST FILM ROLE BY READING A PASSAGE FROM THE CATCHER IN THE RYE. 5. HE HAS ONLY MADE A HANDFUL OF FILMS, BUT HAS ALREADY WORKED WITH SOME OF THE WORLD’S MOST CELEBRATED DIRECTORS. In the seven years that Ehrenreich has been making movies, he has completed a total of eight films—yet managed to work with some of Hollywood’s most legendary directors within that time. In addition to Coppola (who he has worked with twice, first in Tetro, then again in 2011’s Twixt), the young actor has been directed by Woody Allen (Blue Jasmine), Joel and Ethan Coen (Hail, Caesar! ), Park Chan-wook (Stoker), and Warren Beatty (in an upcoming, and still-untitled Howard Hughes biopic). 6. EVEN HE’S NOT SURE WHEN WARREN BEATTY’S HOWARD HUGHES MOVIE WILL MAKE IT INTO THEATERS. When asked earlier this year about Beatty’s film, which reportedly completed production in 2014 but has yet to set a release date, all the actor could say was that Beatty’s "editing it … That's pretty much all I know." 7. HE MADE OUT WITH NATALIE PORTMAN IN A PERFUME COMMERCIAL. 9. HAN SOLO ISN’T HIS FIRST BRUSH WITH AN ICONIC CHARACTER. Back in 2012, Ehrenreich was among the frontrunners to take over the role of Harry Osborn in The Amazing Spider-Man 2. (Dane DeHaan eventually landed the part.) Other sources report that Ehrenreich also auditioned for the role of Peter Parker. 10. HE DOESN’T TAKE “NO” FOR AN ANSWER. Ehrenreich’s real breakthrough came earlier this year, playing a Gene Autry-type actor in the Coen brothers’ Hail, Caesar! But he almost never even read for the part. "I don't think the Coen brothers had any idea of who I was," Ehrenreich told Rolling Stone. "My agent sent me the script, and I read it and just loved it. I asked if I could audition, and we were told that I really wasn't right for the part. So, we just asked again, and [the Coens' people] said, 'You can make a tape.' And then I asked again if I could come in, and they said okay. I went and read for the casting director, and then she had me come back and read for the Coens twice." 11. LEARNING HOW TO USE SPAGHETTI AS A LASSO HAS BEEN HIS TOUGHEST JOB YET. Playing Hobie Doyle in Hail, Caesar! came with a lot of prep. “It felt like being an old studio actor,” Ehrenreich said. “I had all these different jobs to do. It was a regiment. It started with the trick roping, then the gun twirling, then horseback riding.” But of all the tricks he had to learn, “the biggest challenge was learning how to twirl a piece of a spaghetti like a lasso for a scene where he’s trying to impress a date,” wrote The Wall Street Journal. 12. HE DOESN’T WORRY ABOUT BEING TYPECAST.